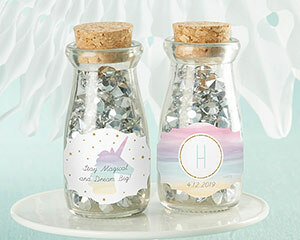 Ethereal tones dance on a classic with our Kate Aspen Personalized Milk Jar set of 12 from the Enchanted Party collection! 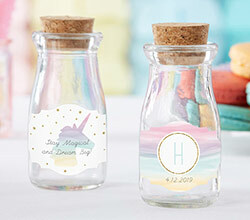 In either a monogram or unicorn design, give your party a little touch of enchanted personalization with each glass milk bottle for your guests. 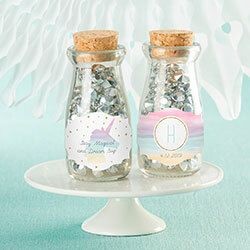 The jars can hold candies or other small favors, and be kept safe and sound with a real cork stopper. 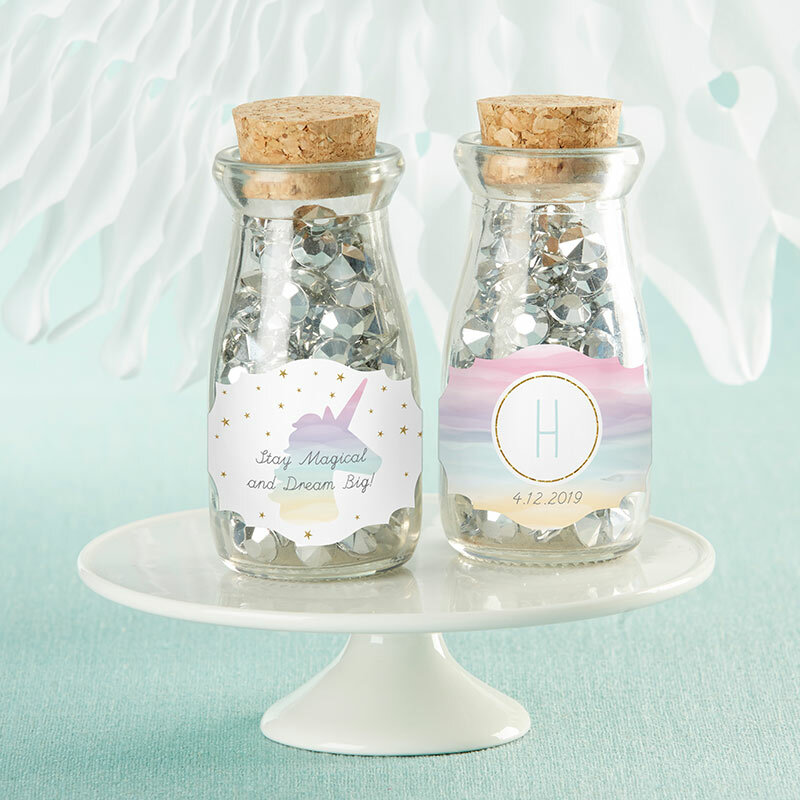 Clear, old-fashioned mini milk bottle favor container with real cork top and large easy access opening.